Sliding doors allowing easy access into the shed, 7’5” x 6’10” metal apex shed, excellent garden shed for keeping all your garden appliances inside and is sold to you at a great value. The Apex Metal Shed is a great value garden building. It has a 10 year anti-rust guarantee and rust free screws for long life. It is also rodent and rot proofed. Sliding doors and high eaves allow easy access into the building. Being hot dipped galvanised steel this garden building is ultra strong and durable. The edges are hemmed to provide a smoother and safer edge. This metal shed does not include a floor. 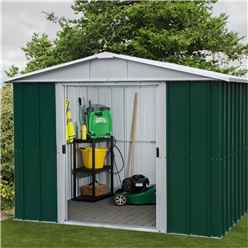 The Metal Shed comes with FREE anchor kit so that you can securely anchor your shed to the ground for added stability. An easy to follow manual is supplied. The Apex Metal Shed meets local authority fire regulations. 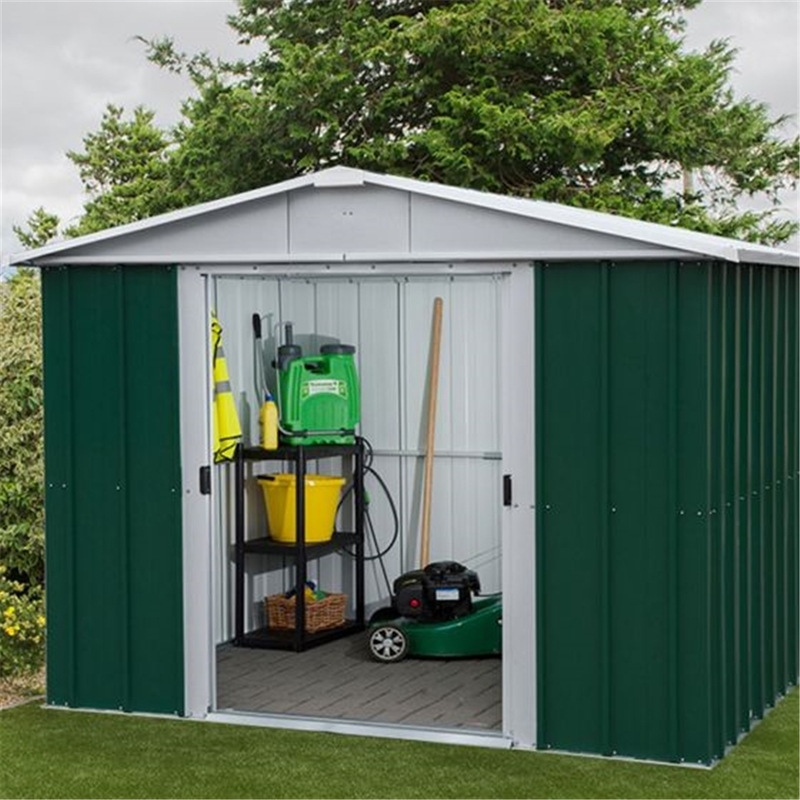 Please note: All metal sheds and storage must be erected on a firm, level (preferably concrete) base and unless stated will not come with floor panels as standard. Please call our Sales Team if you have any questions before youbuy.